In order for us to close our books for the 2016-2017 school year, all outstanding attendance from January through August 2017 is due. Denver Preschool Program schools must submit final attendance sheets in order to be eligible to receive tuition credit funding. The last day to submit attendance is Sept. 20 by 5:00 p.m. Attendance not submitted by this time will result in forfeiture of the associated funds. Click here (Word or Excel) for DPP’s user-friendly Attendance Reporting Form. 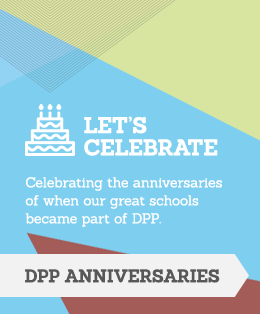 Congratulations to everyone who originally joined DPP during the month of September, we appreciate your partnership. If you see your school's name below, be on the lookout for a special ‘thank you’ arriving soon…we look forward to celebrating another group next month! 8 years - Three Bears Learning Center #1, Inc. Starting in September, DPP will be piloting the use of pre-populated attendance sheets. These new attendance sheets are based on the existing available templates, but will now list the names and participation levels of approved DPP children. We hope this will help streamline the process by improving efficiency and accuracy of attendance reporting. Programs selected to participate in this rollout will be notified mid-September and provided with guidance on submitting these new forms. The pre-populated attendance sheets will be sent out in late September. Questions about these forms can be submitted to attendance@dpp.org or by calling 303-595-4377. If your program is not selected in the initial rollout of the new attendance sheets, please continue submitting your attendance in the same process as usual. The Office of Early Childhood at the Colorado Department of Human Services has proposed a new licensing fee structure for child care facilities. Currently, licensed family child care homes pay an annual fee between $27 and $43, while community centers and preschools pay an annual fee between $85 and $585. In 2018, the fee schedule that is proposed to take effect will raise annual fees for family child care homes to between $50 and $75. These rates will increase yearly between $100 and $125 in 2020. The proposed rates for child care centers and preschools will have two components – a base fee component as well as a per child component. In 2018, the proposed base fee is $200 and the per child fee is $3. Overall fees will not exceed a total of $1,800. While the per child fee is proposed to hold steady for future years, the base fee is proposed to increase annually through 2020, at which time the base fee for child care centers and preschools will be $300 per year. A table of fees for different provider types and capacities is provided below. For more information, visit the CO4Kids website. Note that the cells highlighted in blue are subject to a $3 per child fee in addition to the posted base fee. SafeCare® Colorado has launched a new online referral form to help connect families with free resources. SafeCare® Colorado is a free program that helps families with children under five learn how to support their child’s development through positive parent-child interactions, child health and home safety. The program provides 18-20 weekly visits by a trained professional to their home or an alternative location of the parents’ choosing. Learn more at their website and find the referral form here. Colorado is the place to live. Last year, the U.S. Census Bureau reported that the state saw an increase of over 91,000 residents between July 2015 and July 2016. The majority of newcomers are young people who are looking to establish a career, find a place to live, and locate a reputable school for their children. In fact, many new residents make decisions about where to live based on the school district in the surrounding neighborhood. What can you do to market your program to new families who are trying to find a good fit for their child? The answer is simple: leverage social media to expand your reach, establish credibility, and consistently define your organization’s mission. Follow these three tips to enhance your school’s digital footprint, making the decision for parents to choose your program as simple as 1-2-3! 1. Show and tell – Utilize these platforms to authenticate the culture of your organization and connect with the community. Update your social media profiles frequently with pictures of your building, the inside of classrooms and teachers engaging in activity. Posting status updates is also the perfect way to share positive feedback from parents, milestones and breaking news. By demonstrating your commitment to keeping the community informed, you will ease the minds of parents making the decision to enroll their child in your program. 2. Share with others –Sharing news and information from other sources will keep your Facebook or Twitter profiles interesting while simultaneously expanding your reach. Mix up your content by posting resources from other online sources on topics that may be of interest to your followers (i.e. tips on adjusting to a new city, how to effectively communicate with teachers, local activities to do with children, etc.). 3. Play “The Name Game” – Let people know who you are. Share profiles and short write-ups on your program's director and teaching staff. Offering comprehensive information on your social media profiles provides parents with the chance to get to know you and ensures they don’t have to dig to find answers. It is with great pleasure and anticipation that we welcome you to the 2017-2018 DPP Quality Teaching Initiative. This is an innovative coaching approach that supports educators like you as they facilitate critical thinking skills in young children. C.S. Lewis wrote: “The task of the modern educator is not to cut down jungles, but to irrigate deserts.” Critical thinking skills act like irrigating water for the brain development of young children. The DPP Quality Teaching Initiative is designed to support this important and vital work. Teachers will have individualized coaching around the Instructional Support Domain of the Pre K CLASS™ tool. Starting with a self-assessment, they will choose the areas on which they wish to focus, develop a detailed action plan, and work with their coach, who will take into account their personal learning style and approach to change, as well as the unique needs of their classroom. In addition to individualized coaching experiences, teachers will also have the opportunity to participate in a professional learning community (PLC) extending the learning opportunity to foster collaborative learning among colleagues. During 2016, three Clayton DPP coaches began participating in a research project as part of the Educare Learning Network led by Educare Arizona. The project builds on a successful coaching intervention model created by Southwest Human Development. Initial results of the research show that sites using this model of coaching increased their CLASS™ scores in the Instructional Support Domain by an average of 1.69 points. As new practices become a part of the educators’ professional teaching approach, positive outcomes for children and their families increase. This research project has provided the framework for the new coaching approach. It is with this excitement that we again welcome you to the DPP Quality Teaching Initiative 2017-2018 Program year. We look forward to supporting you in the work you do every day with children and families! Please click here for the September training catalog. Description: DELHI is an annual conference that brings together cross-sector early childhood partners to share resources and enhance our community’s knowledge on the most up-to-date research and best practices in the field. It is always the purpose and intent for DELHI to promote a deeper understanding and instill a passionate desire to implement change within our guests, providing the tools necessary to implement that change across diverse communities and programs. Dates and times: Friday, Sept. 29, 8:00 a.m. to 4:00 p.m. Description: Good to Great (CLASS®) trainings focus on intentional and powerful interactions with the students we serve! In these trainings, participants engage in discussions regarding classroom strategies to support the development of each child’s social competence (Module 1), to create an environment that maximizes each child's opportunity to learn (Module 2), and to support each child’s development of higher-level critical thinking skills (Module 3). The focus is all about creating brain‐building moments for children to give you the tools to focus on teacher‐child interactions in your classroom. Module 2 and Module 3 trainings will follow later in the fall. Date and time: Thursday, Sept. 28, 2017, 5:00 p.m. to 8:00 p.m. Dates and times: Wednesdays, Sept. 27, Oct. 11, Oct. 25, Nov. 8, Nov. 29, and Dec. 6, 5:30 p.m. to 7:30 p.m.